Designer clothes are the most popular thing to happen to any wardrobe. These designer clothes have a theme designed in them which make it authentic and special. Every dress that is created has some specific design and patterns in it that help to be unique in its own way. You may find humungous options in the many patterns available worldwide. However, there are some specialties which distinct the designs as per the culture and traditions of the particular destination. 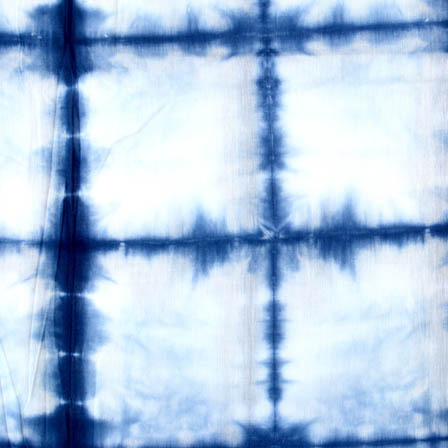 One such pattern we will talk about is the shibori fabric. Blue and white star ..
Blue and white tie d.. 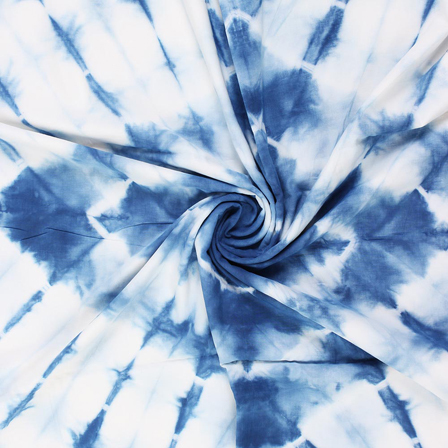 This Blue and white tie dye fabric-4589. Width is 110 centimeter or 44 inches and Length is 100 CM or 40 inch. It is recommended to dry clean only..
•	Some of the most exquisite designs for sofa sets and its covers are made out of shibori indigo fabric. 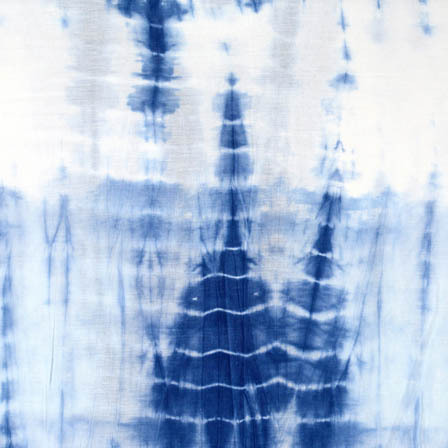 •	Indigo Shibori is best known for its versatile nature and designs as it can be used in any form that has an involvement of fabric. 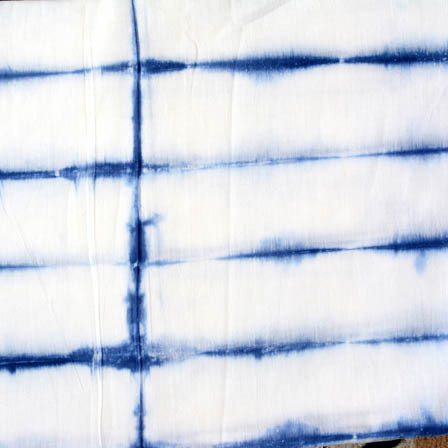 •	You would see many cushion covers designed in the different ways made out of the shibori fabric. •	When cushion covers are involved; bed sheets and covers cannot be left far behind. Also with the diverse prints, it portrays the best colour combinations so that the home decor gets the perfect look. 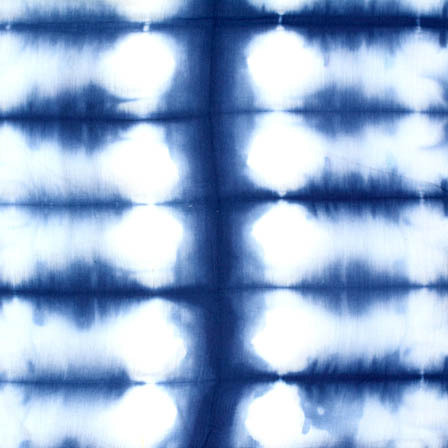 •	You can buy shibori fabric by the yard so that creativity is at its best without increasing the cost of the product. 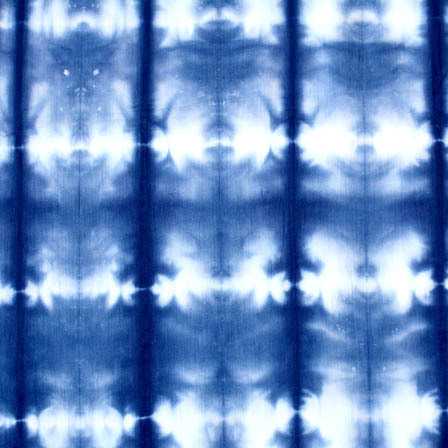 •	The indigo shibori fabric can be converted into many types such as curtains, table mats, clothesline and much more. 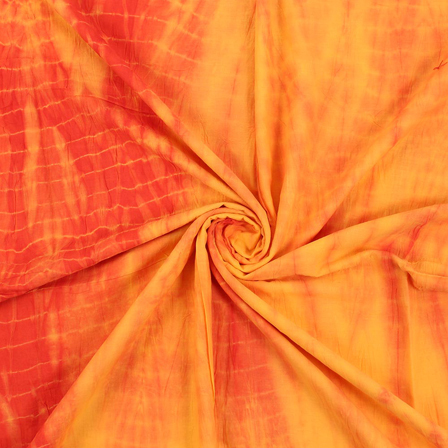 All these variations make the shibori fabric popular and it is an art to be displayed with flair. 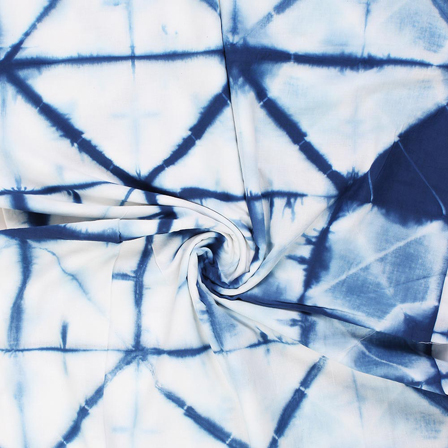 Your creativity comes alive when you see the shibori fabric for sale. 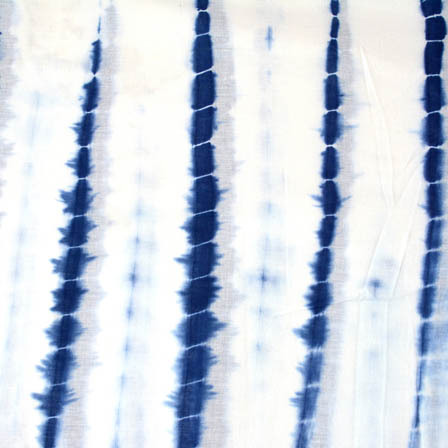 This design is a manual resist dyeing Japanese technique which creates patterns on the fabrics with the many variations. 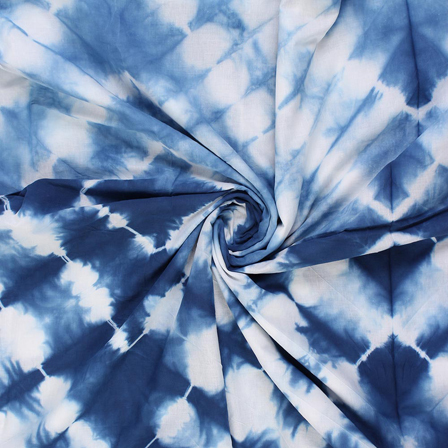 You would not feel the pain when you invest in the indigo shibori fabric as it is value for money and gives grace to everything associated with it. 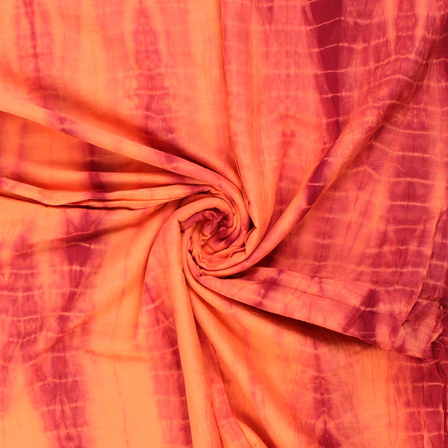 In fact, shibori fabric when designed into a product gives a much higher value as compared to the fabric itself. 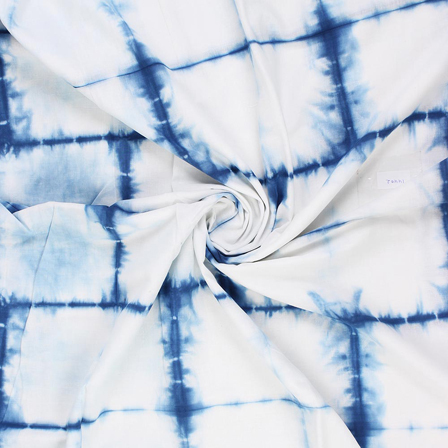 You can buy the shibori fabric from any local store but there are limitations to it. As you would not be presented with the many designs and variations available in a local store you would be bound to buy whatever is displayed. You may find this at online stores in abundance and that too with a full house variety. 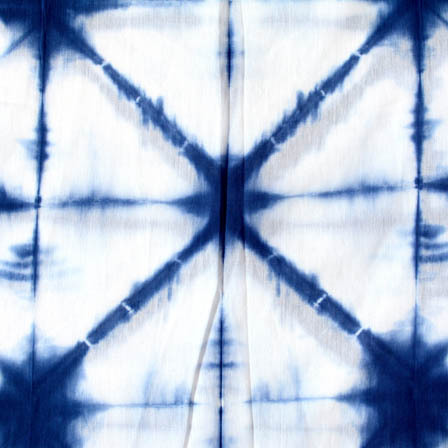 Shopolics.com is one shopping website that has a great collection of shibori fabric. 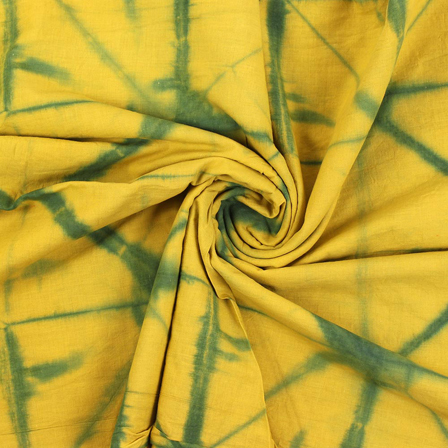 The many sale events make it easier for buying the shibori fabric by the yard. Being sold online it provides a great discount along with a reasonable price. You may be able to find many new varieties as well when you shop online and may challenge the horizon shopping offers to you. You would be amazed by the product bandwagon the website has to offer in fabrics. So wait no more and log onto the shopolics.com website and shop till you drop.